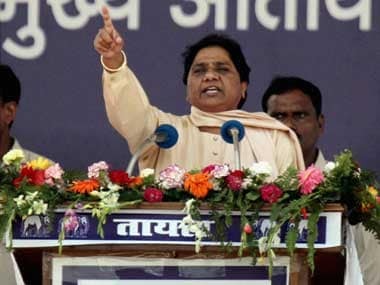 Hyderabad: Bahujan Samaj Party (BSP) chief Mayawati accused the BJP-led central government on Thursday of failing on all fronts and claimed that people from all sections, including the poor and traders, were unhappy with its governance in the last five years. 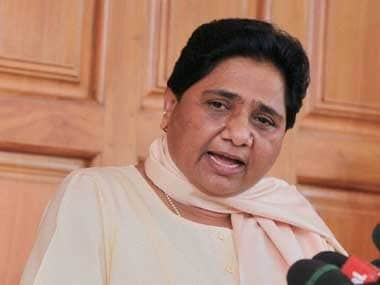 Addressing a rally in support of the Jana Sena Party (JSP) and BSP candidates in the upcoming Lok Sabha polls in Telangana, she said the ruling Bharatiya Janata Party (BJP) had not fulfilled its promises made ahead of the last general election and was again coming out with new assurances. She also attacked the Congress, saying it too did not fulfil its earlier assurances and was now coming out with "tempting promises" such as the promise to eradicate poverty. "Under the BJP regime, people all over the country are unhappy. People from all sections, be it the poor, farmers, unemployed, small traders — all are unhappy. Not only the SC/ST and OBC communities, but the poor from the upper castes and religious minorities also unhappy," she said. Pointing out that the BJP had come to power at the Centre with its "acche din" promise and the assurance of giving Rs 15 lakh to all the citizens of the country, the BSP chief said, "The Narendra Modi government has completed five years, but did any one of you get Rs 15 lakh? 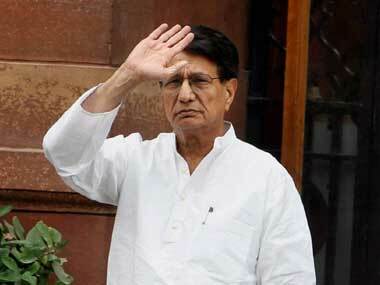 You should ask them (BJP) to give an account of their previous promises." Mocking the Congress's "NYAY" minimum income guarantee scheme, she said they should have first implemented the "formula" of Rs 72,000 annual payment to the poor in the Congress-ruled states. "When they are unable to implement it in those states, how can they implement it in the entire country?" the former Uttar Pradesh chief minister asked, adding, "You should not get misled and fall into the traps of the BJP and the Congress." She said the BSP had got an opportunity to serve Uttar Pradesh under her leadership and they gave "good governance to all people". 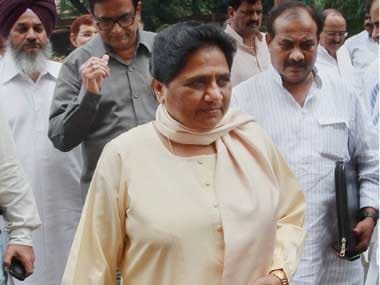 "In Uttar Pradesh, we will definitely do well and following the BSP-SP-RLD alliance, the situation of the BJP is bad," Mayawati said, adding that the prime minister of the country was always chosen from the northern state. The BSP chief said if there was a change and "if we are given a chance to form the government at the Centre, the way welfare schemes for all were launched during my tenure, they will be implemented in the entire country". The JSP and the BSP have forged a pre-poll alliance in Andhra Pradesh and Telangana and have launched a joint campaign. 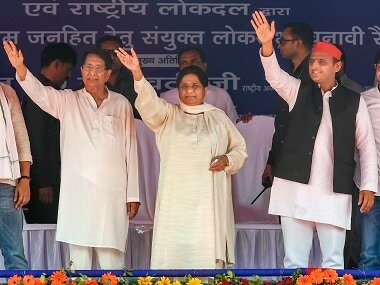 Stating that the people in the two southern states also wanted a change, Mayawati appealed to the voters to give them a chance. She said only because the Telangana region was neglected during the Congress regimes, the separate state demand was made and realised. "Now also, despite Telangana becoming a separate state, there is not much development here and the people are still neglected," she added. The BSP chief said SCs, STs and OBCs together constituted 70 percent of the population in Telangana, but TRS chief K Chandrasekhar Rao had become the chief minister, despite his community's strength being "just 1.5 or 2 percent". JSP chief Pawan Kalyan requested Rao not to meddle in Andhra Pradesh's politics, to remain neutral and not support YSR Congress Party leader Jaganmohan Reddy. "As the leader who led the agitations for Telangana, I respect you a lot. We want you to be neutral," the actor-turned-politician said. He also wondered how KCR supported Reddy when the latter was "rejected outright" during the Telangana agitation. Kalyan, who is the younger brother of top actor Chiranjeevi, formed the JSP in 2014.